Santa Fe College, #1 ranked Community College in the U.S. has an impressive presence on the college stage. From the college's inception, they have always done things a little differently. I have thoroughly enjoyed working with the college on three very large initiatives over the past few years. My first endeavor with Santa Fe College called for completely retooling the communication strategy for their Career & Technical Education Department -- a very large percentage of their school's offerings. And on the heels of that effort we launched print and social campaigns for their marketing department. Every institution capitalizes on important milestones as a way of invigorating donations and engaging their community. 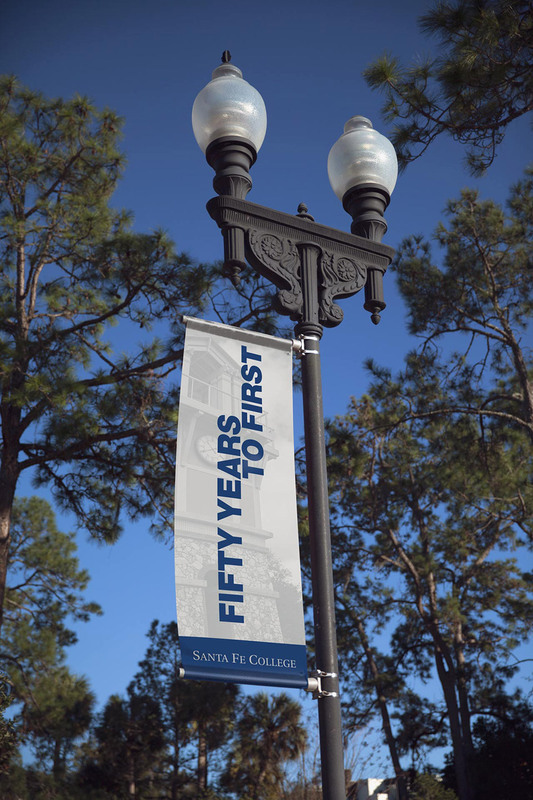 For Santa Fe College, this 50 year milestone was pivotal. I led the charge on the college's only discovery process in their history, a month-long process aimed at creating a brand and marketing strategy that would increase visibility, and inspire contributions. With the infancy of their Baccalaureate programs, Santa Fe brought us on board again to create a marketing strategy aimed at generating and capturing more interest. Our Discovery informed a campaign that would live solely in the digital realm. Tailored messaging based on the audience profiles we articulated in Discovery were targeted through social media and email. These avenues led our audiences to specific landing pages, funneling them towards the recruitment arm of the college. A robust retargeting campaign helped reinforce this effort, with the ultimate goal of connecting prospects to recruiters.